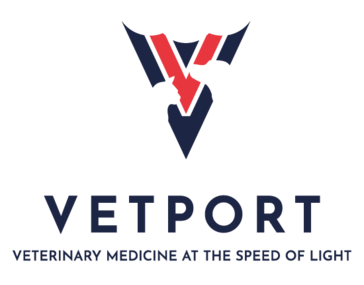 Vetport is a web and cloud based veterinary practice management software that provides EMR and more features to help you manage your practice/clinic. "I worked with Vetport for under a year, but found it fairly easy to understand." I enjoyed the simplicity in entering charges on each patient's profile. I also liked the short cut to the patient profile from the schedule. I dislike the way quick notes are entered and found it tedious when entering in vaccines given from history. It is certainly worth using, especially for those who may typically struggle with technology to begin with. Fairly easy to catch on to. I am not sure there have been any business problems with Vetport from my use of it. Benefits would include access to patient profile, schedule, and history all on one platform. "At first it was great, but the bugs are getting a bit ridiculous." Great flexibility and highly customizable. It initially fit my needs well and was reliable. I'm not sure if the instability has been that there is a lot of buggy code being added or if I just didn't initially have enough files for the problems to be obvious. Where do I start? Records that are supposed to be permanent get changed without anyone at my office even opening the files. There are constant problems with photos uploading - one never knows if the same size file will take 2 minutes or 24 hours to upload. Graphing is totally illogical with bar graphing type of x-axis but graphs plotted as line graphs. Files that belong with one patient showing up in another patient's file that hasn't been opened in months. Reminders that are deleted when they should be and no way to have more than one reminder in the system for any item so that you cannot set up a year's reminders if something is needed more than once such as twice yearly physical exams or serial urinalysis or blood work. Last week we had a rabies certificate that printed with a date on it for vaccine administration listed as last year on a date we didn't even se the cat! The system is just getting more and more buggy. Go somewhere else if accurate records are important to you. It is nice that this is a cloud-based system. At first it was a very professional looking system that was easy to use and made us look good. Lately, however, it does not have many benefits other than that we can pay by the month for use. The program has been making us look incompetent and we are frequently having to apologize to clients for it not working correctly. * We monitor all Vetport reviews to prevent fraudulent reviews and keep review quality high. We do not post reviews by company employees or direct competitors. Validated reviews require the user to submit a screenshot of the product containing their user ID, in order to verify a user is an actual user of the product. Hi there! Are you looking to implement a solution like Vetport?